Made with the best fresh Angus & Perthshire berries in our award winning bothy. Perfect on its own with ice. Serve with prosecco and garnished with mint and fresh berries for the perfect celebration drink. Or for a long refeshing summer's drink add a lemon tonic, ice and frozen lemon slices. 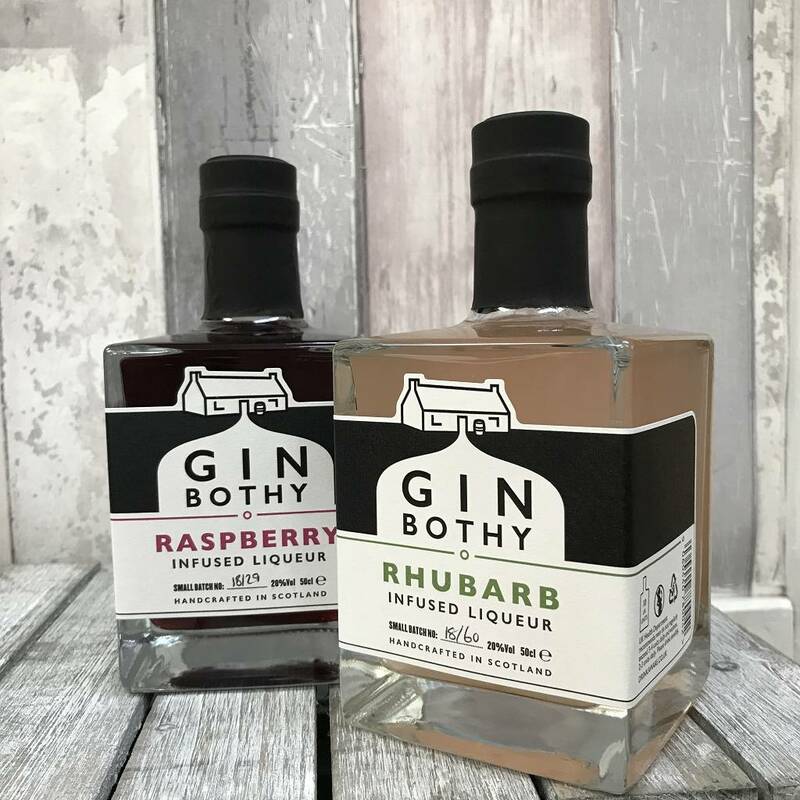 HOMEGROWN & SIMPLE - OUR AWARD WINNING BOTHY IS NESTLED IN THE ANGUS GLENS OF SCOTLAND, WHERE WE CREATE OUR PREMIUM GINS. Inspired by Bothies of the past, Gin Bothy favour the old fashioned approach. We infuse our Gins with local seasonal fruits in extremely small batches, working through the process by hand at each step. Try others in the our fruit range such as Rhubarb. 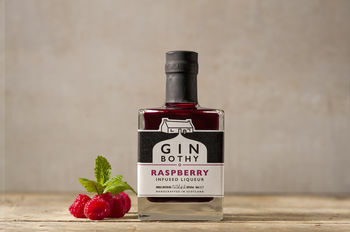 Gin Bothy Gin Spirit infused with fresh raspberries and sugar. Left over raspberries and juice from making jam were the start of the Gin Bothy, surrounded by the rolling fruit fields of the glens, our fruit gins are all made using the freshest ingredients, we could probably tell you which field the fruit was grown in! They don't usually last that long, but once opened our fresh ingredient gins are best sipped within three months of opening. Store in a cool, dry place out of direct sunlight. This product is dispatched to you by Gin Bothy.